As an International award winning professional cartoonist and caricaturist, John Roberts' work is highly prized and has been published extensively. His caricatures of celebrities highlight his very own style of humour. 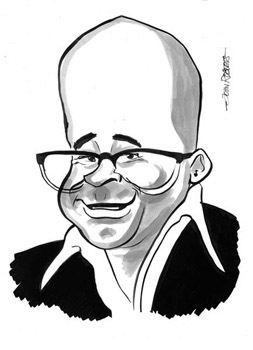 In addition to years of cartoon and caricature work, John is one of the UK's most sought after professional on-the-spot caricaturists working at numerous corporate events, car launches, exhibitions, private dinners, weddings, etc. John was commissioned in 2004 to draw caricatures (as a personal gift from the actor Georgie Henley) of all the 'Pevensie Children' plus the Director and assistants from the 2005 film The Chronicles Of Narnia.